Kate Spade Canada has an awesome offer available now! 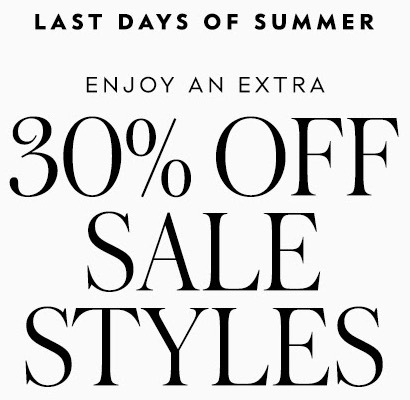 The Kate Spade offer includes: Save an extra 30% off sale styles. This Kate Spade offer is valid now until Tuesday, September 5, 2017 at 11:59 pm PT. I ordered 2 bags from them and they shipped them quickly with no issues. They even sent tracking information Maybe try again. Don’t use the “canada outlet” website though. Not sure if it is legitimate. Use the Kate Spade New York. They have a sale section and extra sales off and on. Good luck. So, I just went back on to try to order another and yes, it did say it does not ship out of the US, but i looked at the other 2 I ordered and those do ship everywhere. So, it is just certain ones that don’t ship here.